← Happy 3rd Birthday Flannel Friday! 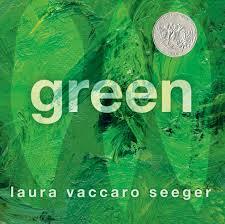 Very simple book showing the many shades of green. The kids had a fun time guessing what each shade would be called. The end has some fun surprises too! This week the cube got to do Jump Jump Jumping! We made it through all 10! WHEW! 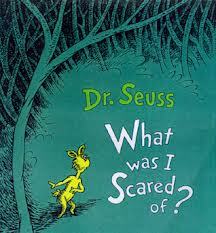 BOOK: What Was I Scared Of? Probably my favorite green themed book! Funny as can be and the Seuss rhymes aren’t too much of a tongue twister! The older kids particularly enjoyed it. The story is about a pair of empty green pants that just want to be friends. Under the utter goofiness lies a very nice story about friendship, acceptance and not being afraid of differences. Leprechaun Leprechaun What Do You See? I borrowed this clever idea from Storytime ABC’s (thank you!). The story follows the format of the book Brown Bear Brown Bear What Do You See? by Bill Martin and Eric Carle. The Wiggleworms enjoyed telling the story along with me and one realized we were forming a rainbow! This week we used rainbow streamers to dance an Irish jig! SO MUCH FUN!! I was impressed that although none of today’s Story Time Friends had ever seen this book before they caught on to what would happen immediately. I always love reading books that were from my own childhood – which always kind of amazes the kids. 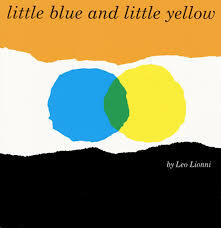 This Lionni classic emphasizes color mixing along with a great story about friendship, differences and acceptance. Lovely book to end with! 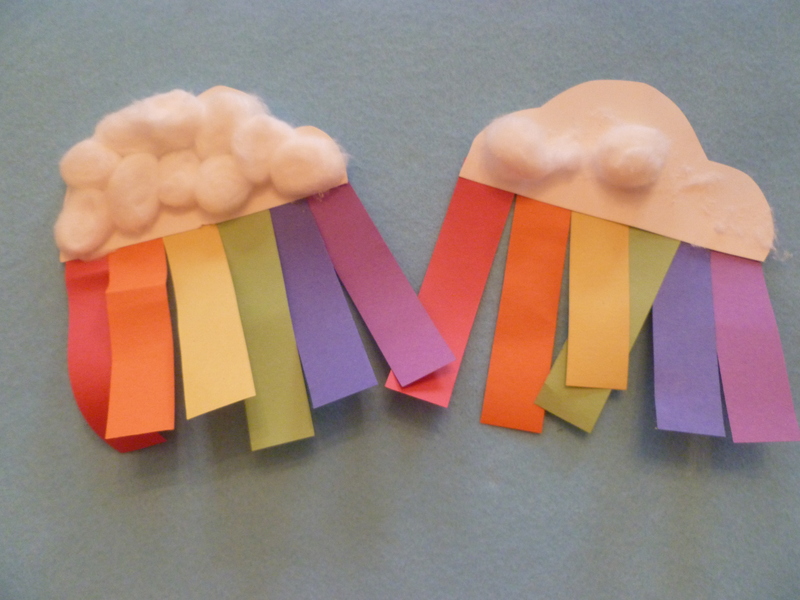 Glue cotton balls onto the cloud, then glue rainbow colors on as well! Very easy! 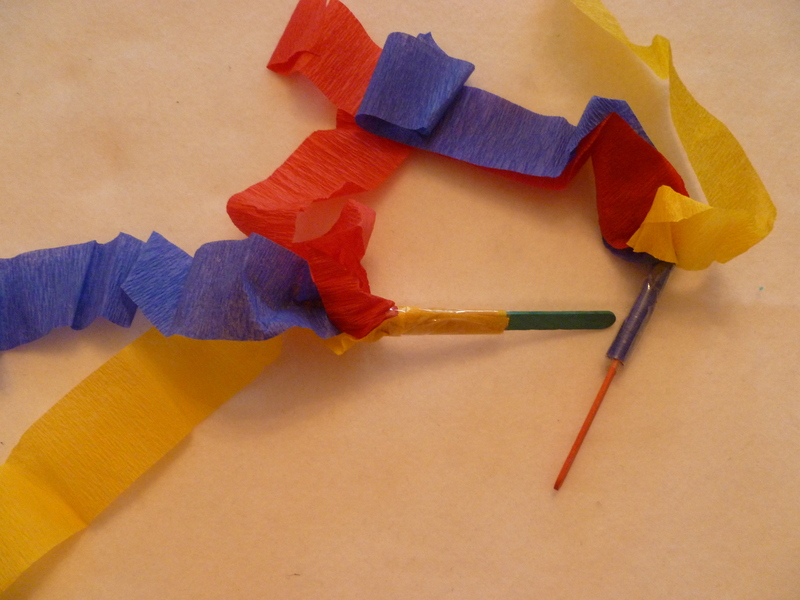 The rainbow streamers were a HUGE hit and will definitely appear in Wiggleworms Story Time again! Very nice group and everyone was well behaved. 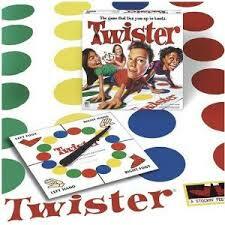 If I used Twister as a game again I would structure the activity a little more carefully. Some kids did not want to participate because they didn’t want to be so close to the other kids. And some got easily frustrated as the game got complicated. I had worried the game would get out of control but that did not happen with this group. If I used this again I would have groups of 2-4 take turns, designate a child to be the spinner and only have each group go through 3-5 directions per round. All in all a very fun week! 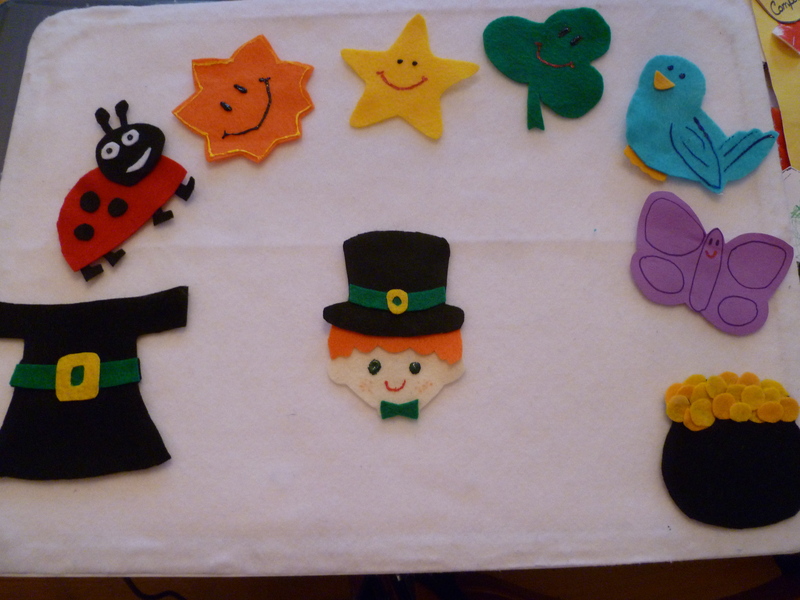 Colors, senses and recognition — lovey activities for kids. I really love the book Green. I wish someone would write a good book for St. Patrick’s Day for this age group! Thanks for your comments!